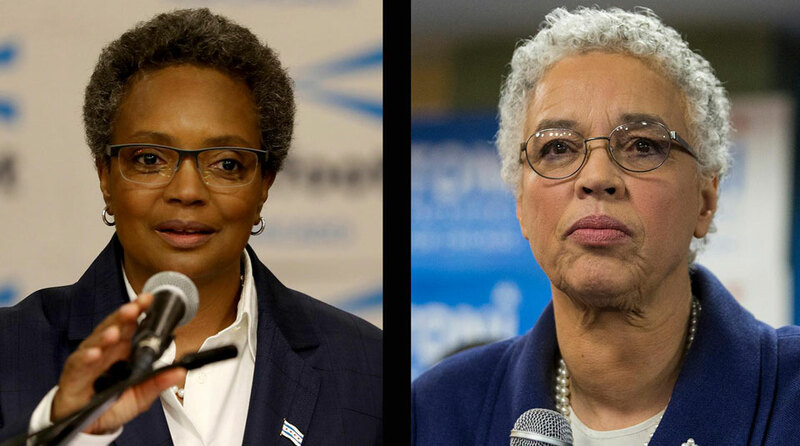 CHICAGO – The nation’s third largest city will elect a new mayor April 2 when voters go to the polls to settle a runoff between Lori Lightfoot and Toni Preckwinkle. History will be made regardless of who wins. Voters will elect the city’s first African American woman mayor and if Lightfoot wins, its first LGBTQ mayor. The candidates take similar positions on major issues facing the city. Consequently, progressive activists and community organizations have divided their support. The Chicago Federation of Labor made no endorsement because unions were also divided. Lightfoot, who served as assistant U.S. attorney for the Northern District of Illinois is a first-time candidate for public office. She was appointed by former Mayor Richard M. Daley to lead the now-defunct Office of Professional Standards. In that capacity, she oversaw police accountability and misconduct cases. Lightfoot was appointed by outgoing Mayor Rahm Emanuel to head the Police Board, an independent civilian body that decides disciplinary cases involving police officers. Emanuel named her to lead a special Police Accountability Task Force (PATF) established after the police murder of Laquan McDonald that roiled the city. Preckwinkle is President of the Cook County Board of Commissioners that operates the county’s vast health care and criminal justice systems and is chair of the Cook County Democratic Party. 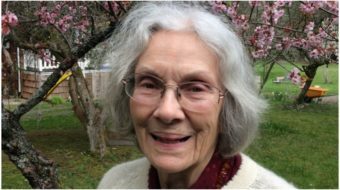 She began her career as a public school teacher and was elected alderman in 1991. During her tenure in the city council, she was a co-founder of the Progressive Caucus and champion of affordable housing. She co-sponsored living wage ordinances that passed the city council in 1998 and 2002. 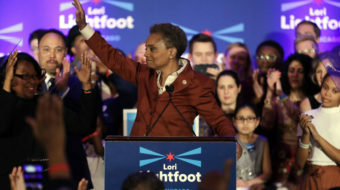 Lightfoot has ascended in voter polls mainly due to the perception she is above the corruption that historically infests Chicago politics and is independent of the infamous “machine” and the various ward fiefdoms. She also carries the reputation as a reformer during her time heading the Police Board and PATF. In the wake of the McDonald murder, the PATF came up with 126 recommended changes to police practices. She openly clashed with Emanuel on several occasions, who only implemented a handful of the recommendations. However, some police reform advocates have been critical of Lightfoot, citing instances of leniency in disciplining police accused of killings or abuse, while others are backing her. Meanwhile, contributions Preckwinkle received from disgraced alderman Ed Burke, indicted in a corruption scandal, and job offers to the children of other elected officials, have tainted her reputation. Ironically, of the two candidates, Lightfoot has garnered more backing from figures associated with the machine, including former mayoral candidates William Daley, Gerry Chico, and Susana Mendoza. Lightfoot also has the support of some large financial backers of Emanuel and has embraced the financial advice of the Civic Federation, a prominent business think tank. She also has the support of Rep. Jesus Garcia and Our Revolution, the group spawned by the candidacy of Sen. Bernie Sanders, the city’s LGBTQ organizations, and several unions including the Plumbers Union, International Brotherhood of Electrical Workers, and Amalgamated Transit Workers. Lightfoot also has the backing of three aldermen who represent some of the most politically conservative wards, Aldermen Nick Sposato (38th Ward), Anthony Napolitano (41st Ward), and Matt O’Shea (19th Ward). Preckwinkle’s support includes the Teamsters Joint Council, Chicago Teachers Union, the Illinois Federation of Teachers, Service Employees International Union, and abortion rights groups. Whoever is elected will have to contend with remnants of the machine and the ward fiefdoms which, although weakened, are still potent. They reflect the influence of corporate, financial and real estate interests which dominate the administration of Mayor Emanuel. Bucking these powerful forces is daunting, but shifts are taking place with the growth of grassroots activism across the city. Progress rests on building these grassroots movements in broad alliance with organized labor. Many issues are framing the election. Working class voters are increasingly concerned about being pushed out of the city because of gentrification, lack of affordable housing, and property tax increases. The city faces a daunting financial crisis including a public worker pension crisis that can only be solved with progressive taxing policies. The Emanuel and Daley administrations focused on diverting public investments to downtown developments and luxury high rises while starving working-class neighborhoods of funds. Public education is severely underfunded while charter school expansion continues. African American and Latino neighborhoods experience segregation, lack of investment, poverty and higher rates of gun violence. 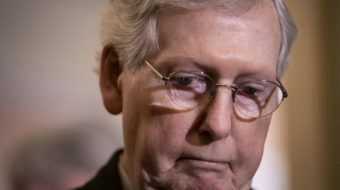 The police department badly needs reform to address endemic corruption, police murders of African American residents, and brutality, including the creation of a Civilian Police Accountability Council (CPAC). Expanding the independent progressive caucus in city council is a step toward checking the influence of powerful financial interests. 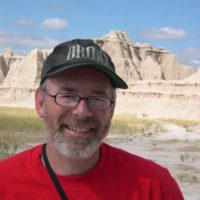 The aldermanic runoffs could result in the election of up to three socialist candidates in addition to the two members of Democratic Socialists of America (DSA) who were elected Feb. 26. Current alderman Carlos Rosa is now joined by Daniel La Spata. Three other DSA members in the runoffs April 2 are Rosanna Rodriguez-Sanchez, Andre Vazquez and Byron Sigcho-Lopez. Voters will also elect a new city treasurer. Alderman Ameya Pawar, who advocates the creation of a public bank and guaranteed wage, faces State Representative Melissa Conyears-Ervin. Even if Preckwinkle loses, she will remain as president of the Cook County Board of Commissioners. If this happens, a person of color, and if Conyears-Ervin wins, a woman of color will lead every top post in Chicago city government and Cook County.